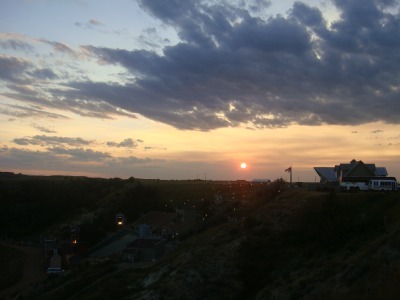 This was taken at the Medora Musical in 2010. Good question! We are a full service distributor and offer a wide range of products and services. To see a full listing and description of what we can offer you, check out the Products & Services area in the Customer Service Section of our website. The best way to ensure that we get all the information necessary to do an accurate quote is to give us a call and talk with one of our customer service representatives. Otherwise you can use our online estimate request form. Every job requires different steps to complete. Generally a job will take 7-10 working days to complete. That does not included shipping times. We are able to "rush" jobs and get them out sooner but you will need to call and speak to a customer service representative to discuss your particular needs. We accept cash, company check, Discover Card, American Express, MasterCard and VISA credit cards. If you are a new customer, we may require partial or full payment before an order is approved. With approved credit we can also set up a business account for you, as well. Contact us for details.